I have been using this day cream quite often in the mornings as my make up base. 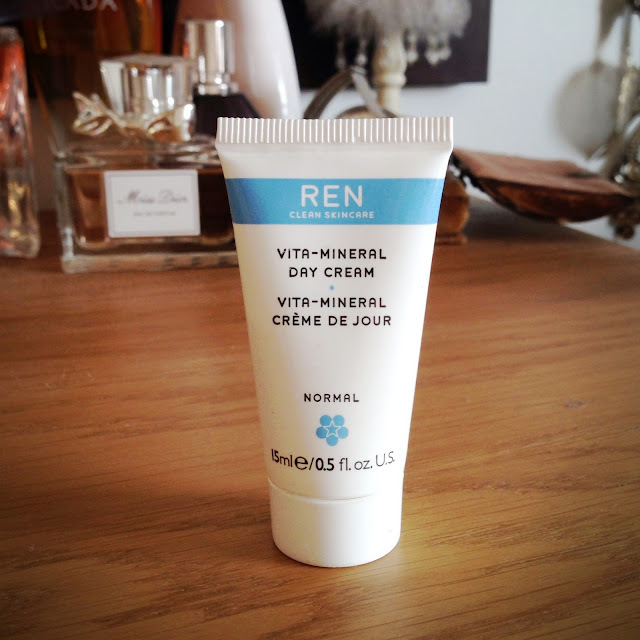 I bought this in a small normal skin regime set of REN products just to try out a new skincare range. I find the consistency lovely and smooth and it seems to create a lovely foundation base. The smell is almost herbal, slightly similar to Bobbi Brown products, yet still quite fresh and awakening. However, I do prefer when day creams are slightly more spreadable and light. 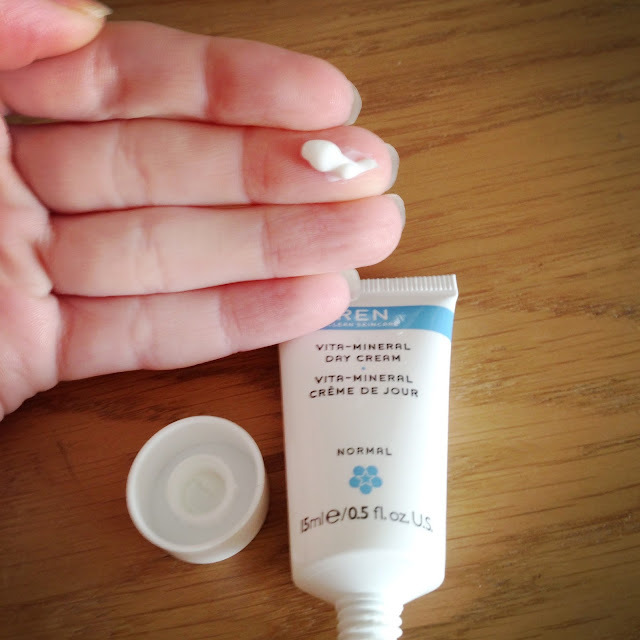 I find this cream to be slightly thicker than my usual day creams and that it does not spread quite as far. Yet, I have still been enjoying using this cream and it has definitely kept my skin lovely and soft. At this price though, my skin would literally had to have felt like silk for me to repurchase it and for that reason I won’t be. But I would definitely probably repurchase the REN regime kit which this was a part of. For someone that didn’t use moisturiser under their foundation until about 6 months ago, it really isn’t something I pay massive amounts of attention to still, and as such would prefer to find a cheaper product that does just as good a job. But this is definitely a luxury for the face and I would recommend trying out the REN Normal Regime Kit if you’re interested in giving them a go. The kit includes 15ml of the Vita-Mineral day cream, REN Revitalising night cream and REN Glycolactic Radiance Renewal Mask and 25ml of the Rosa Centifolia Cleansing Gel.